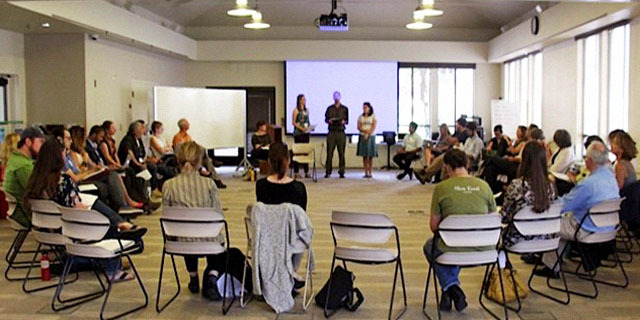 Roots of Change serves as the California Food Policy Council’s nonprofit backbone organization, providing strategic direction, analysis, and core support for this statewide body. 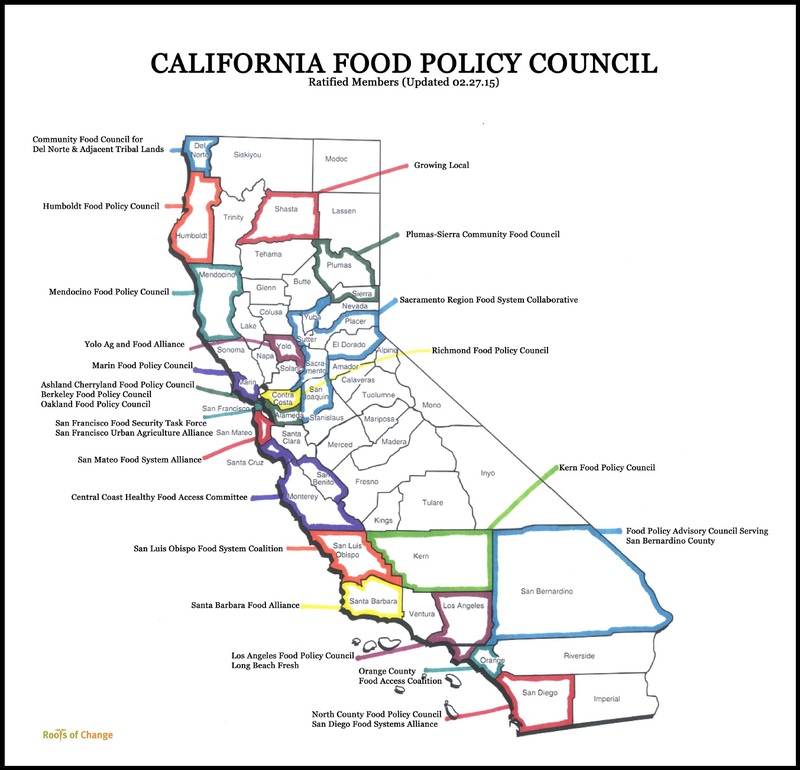 Unlike other nonprofits who solely work on policy, we focus our expertise on the California Food Policy Council so they can galvanize their communities at the grassroots level in California to drive change from the people up through their elected officials and decision makers. Roots of Change serves as the California Food Policy Council’s nonprofit backbone organization, providing strategic direction, analysis, and core support for this statewide body dedicated to improving California’s food and farming. In 2010-11, Roots of Change pursued an emerging recommendation from the Health in All Policies Task Force to establish a statewide food policy council. We catalyzed efforts to establish the California Food Policy Council after convening a group of 50 stakeholders in a meeting, including Secretary Ross of the California Department of Food and Agriculture and Secretary Dooley of the California Health and Human Services Agency. Click to learn more about the CAFPC and its current projects. The CAFPC “Activity Matrix” was developed as a tool for Food Policy Councils and Food System Alliances to share best practices and model policies and learn from each other. The Matrix also serves as a tool for identifying areas of activity that are ripe for collaboration across councils and regions, and with additional partners, especially local health departments and government agencies that have mutual goals and complimentary expertise and resources. The Matrix was developed through a series of interviews with members from each council, who were then given an opportunity to review the written document for accuracy. Click here to learn more about FPC model policies and activities, and to download the CAFPC Activity Matrix.